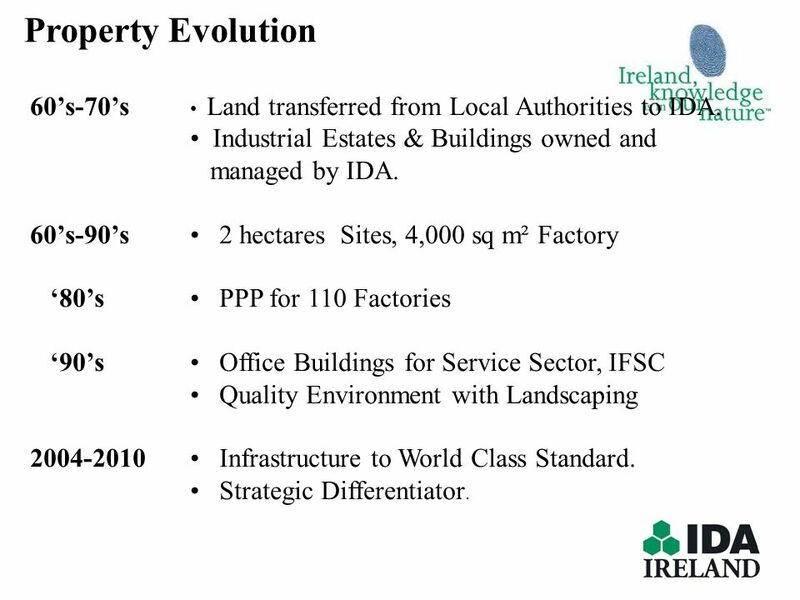 6 Property Evolution 60’s-70’s • Land transferred from Local Authorities to IDA. 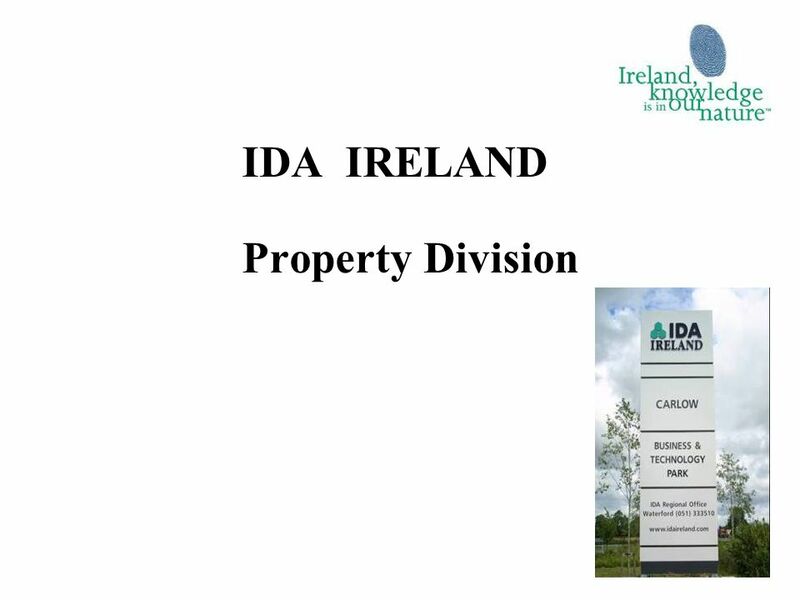 • Industrial Estates & Buildings owned and managed by IDA. 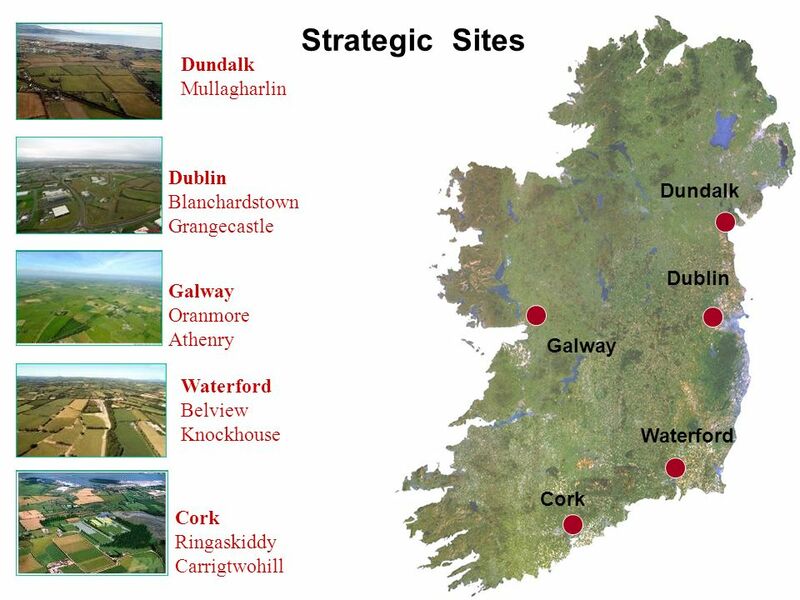 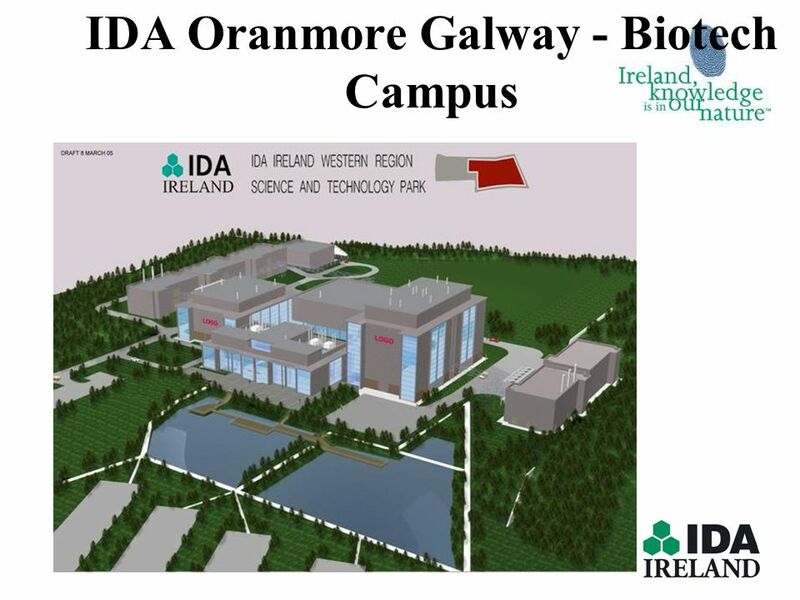 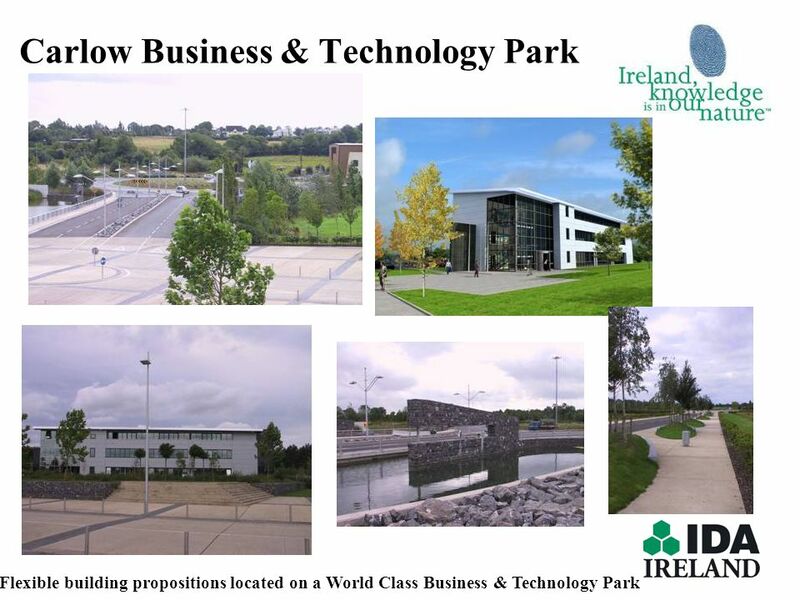 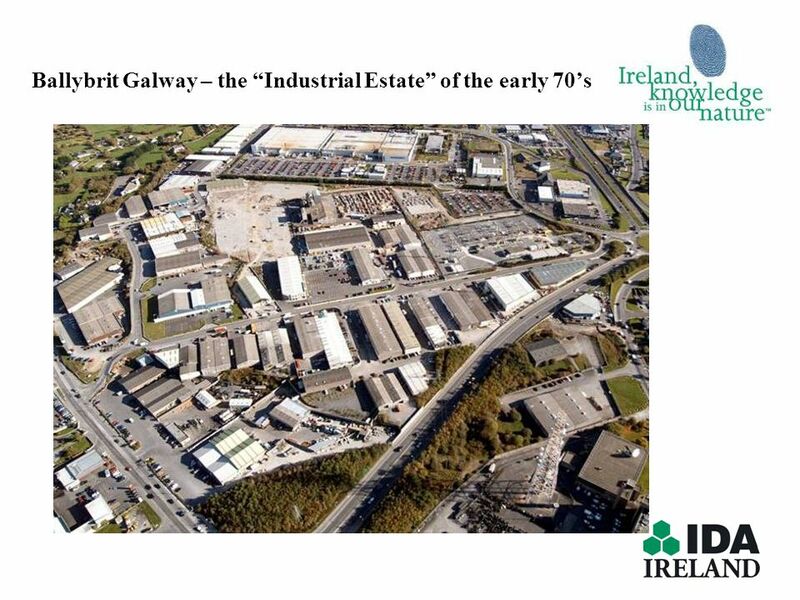 60’s-90’s	• 2 hectares Sites, 4,000 sq m² Factory ‘80’s • PPP for 110 Factories ‘90’s	• Office Buildings for Service Sector, IFSC • Quality Environment with Landscaping • Infrastructure to World Class Standard. 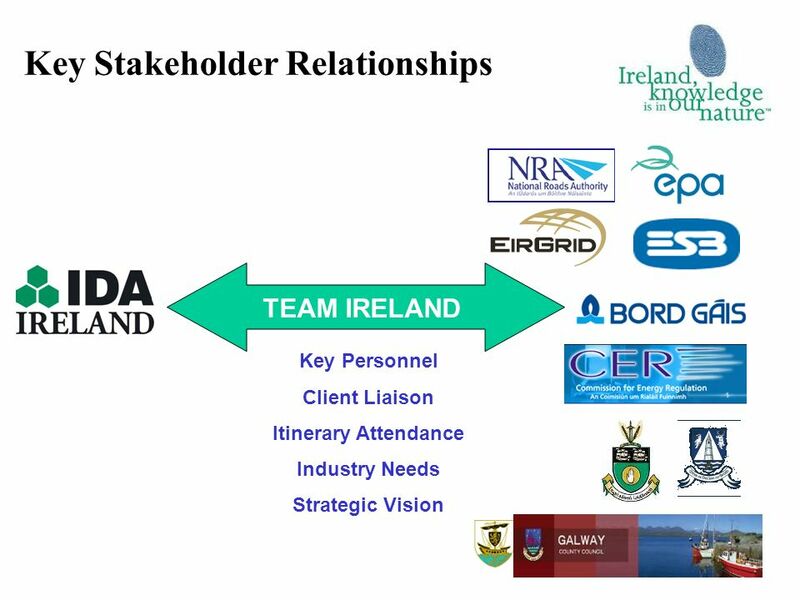 • Strategic Differentiator. 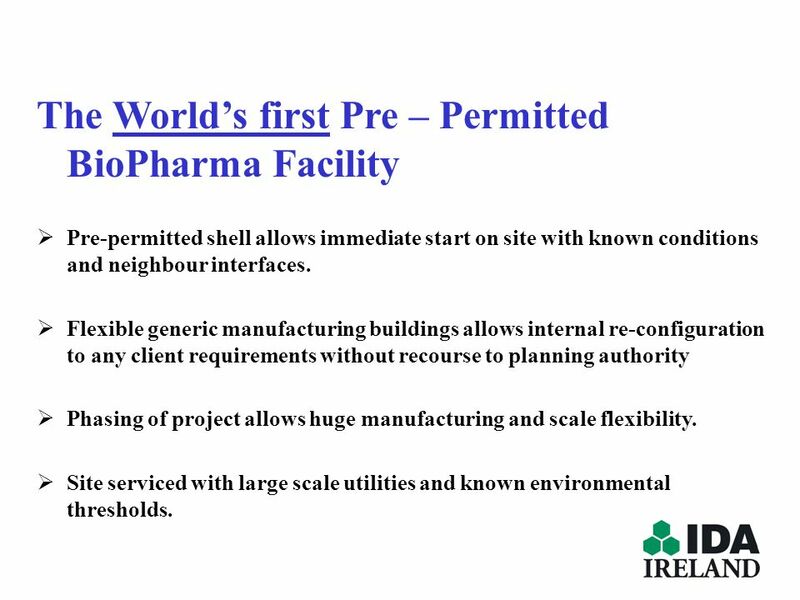 Pre-permitted shell allows immediate start on site with known conditions and neighbour interfaces. 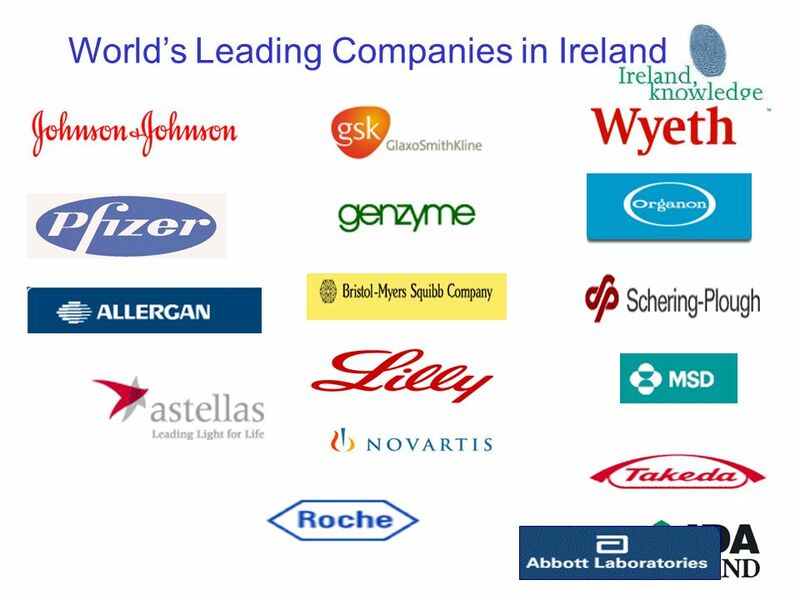 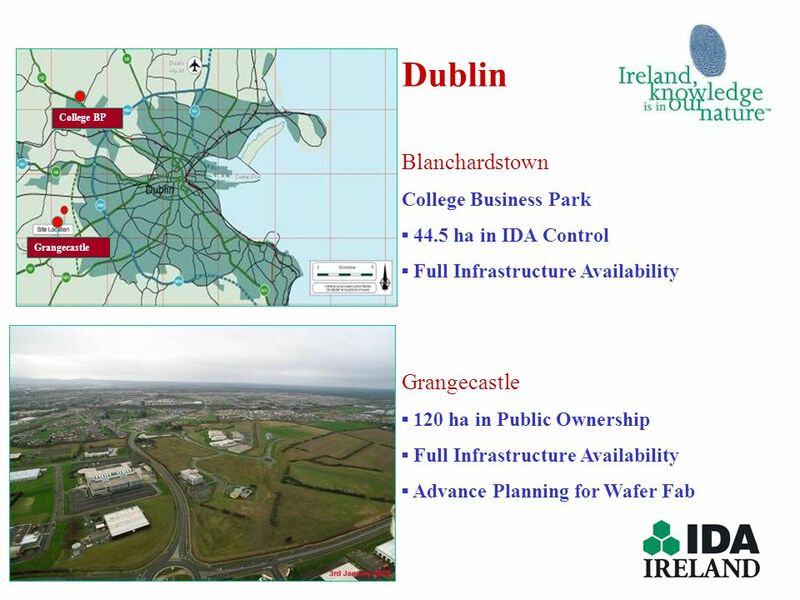 Flexible generic manufacturing buildings allows internal re-configuration to any client requirements without recourse to planning authority Phasing of project allows huge manufacturing and scale flexibility. 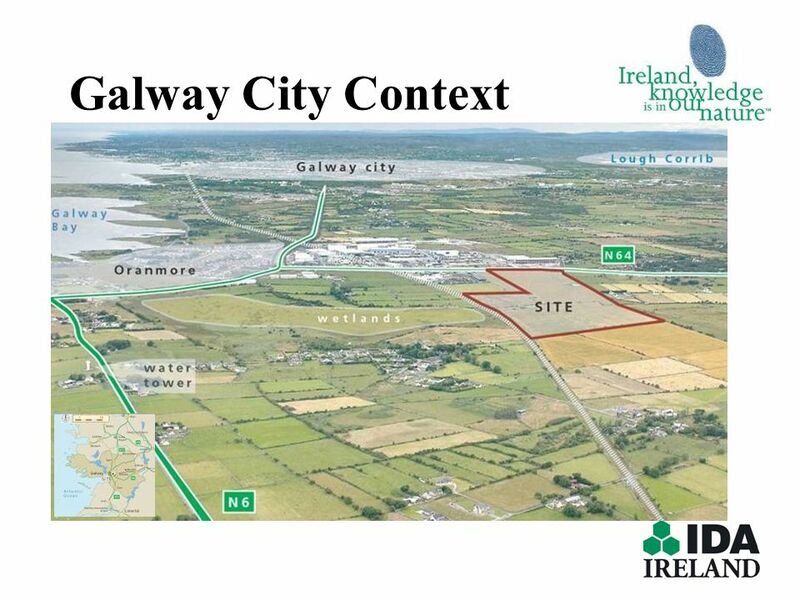 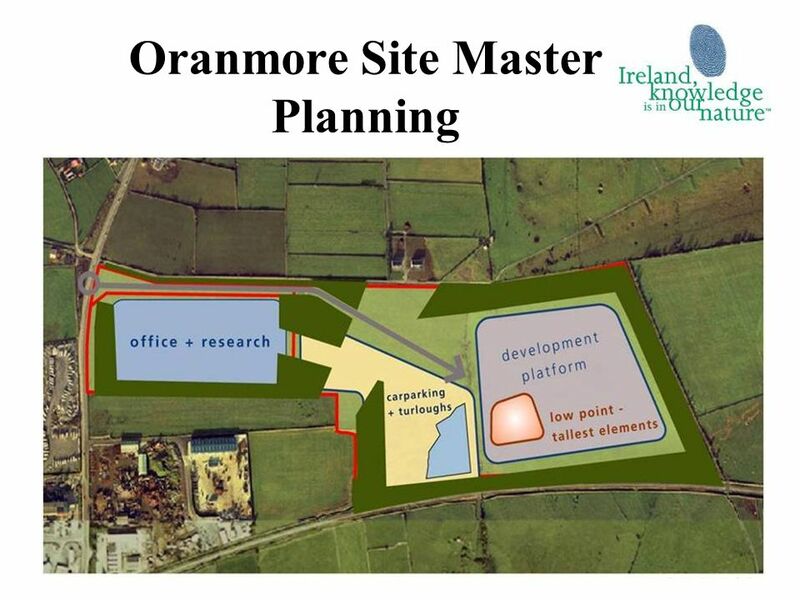 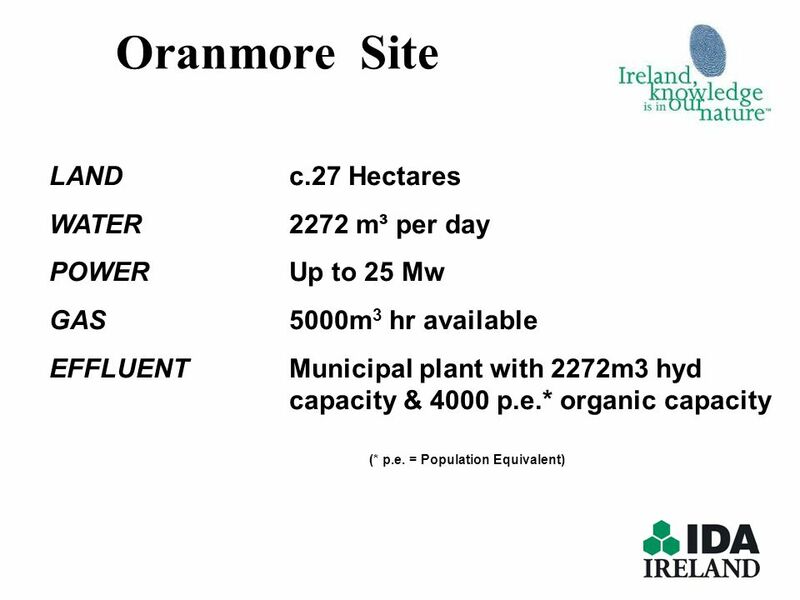 Site serviced with large scale utilities and known environmental thresholds. 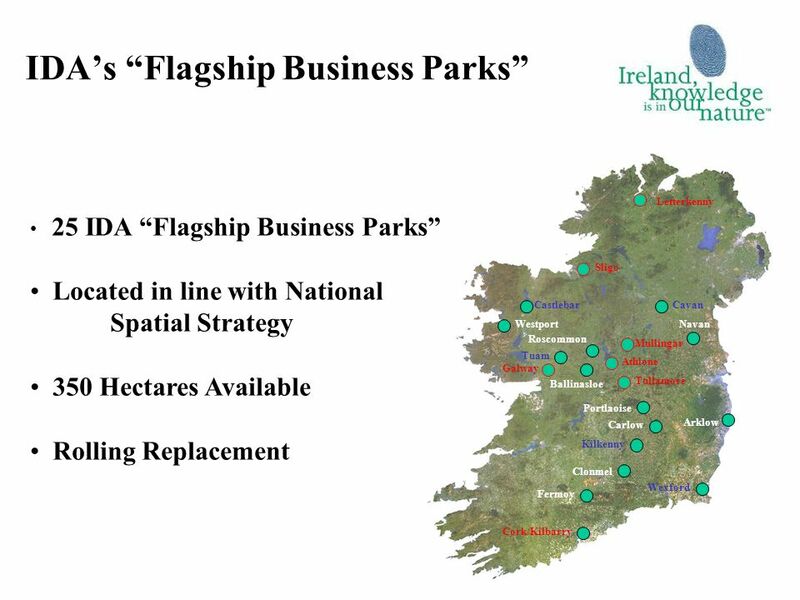 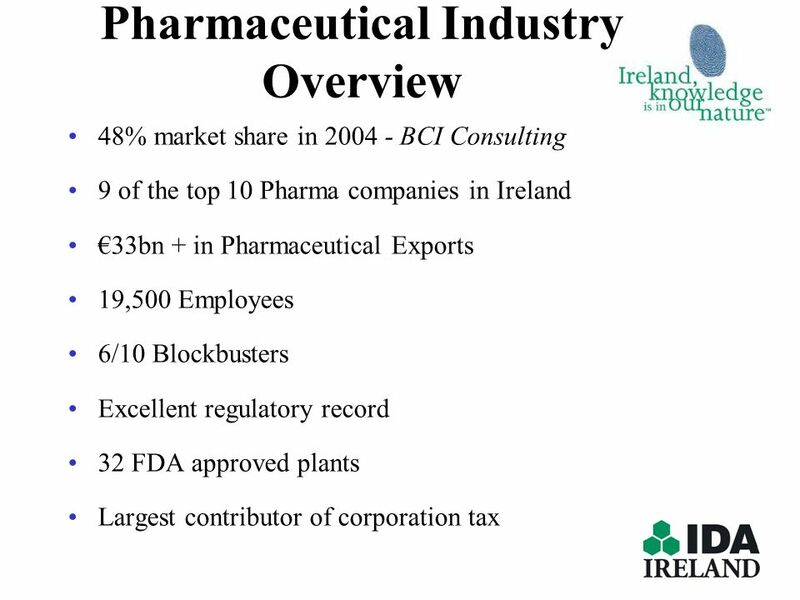 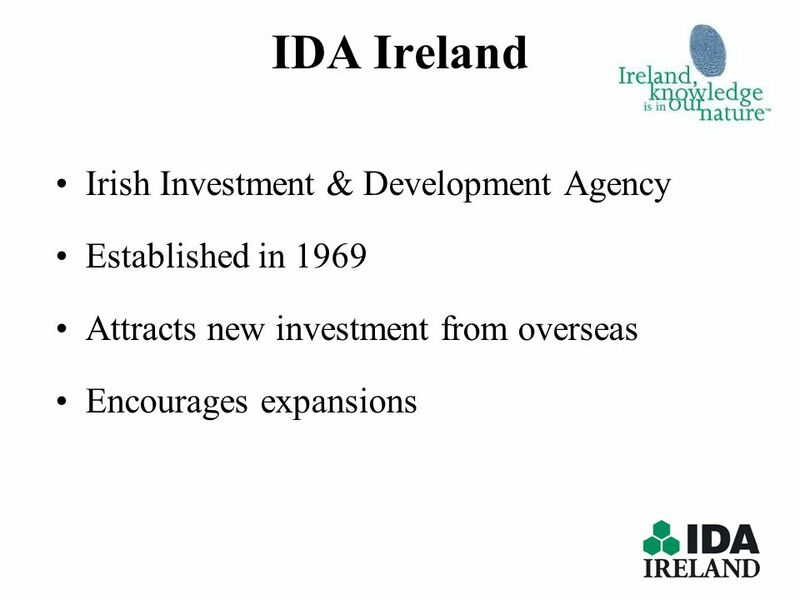 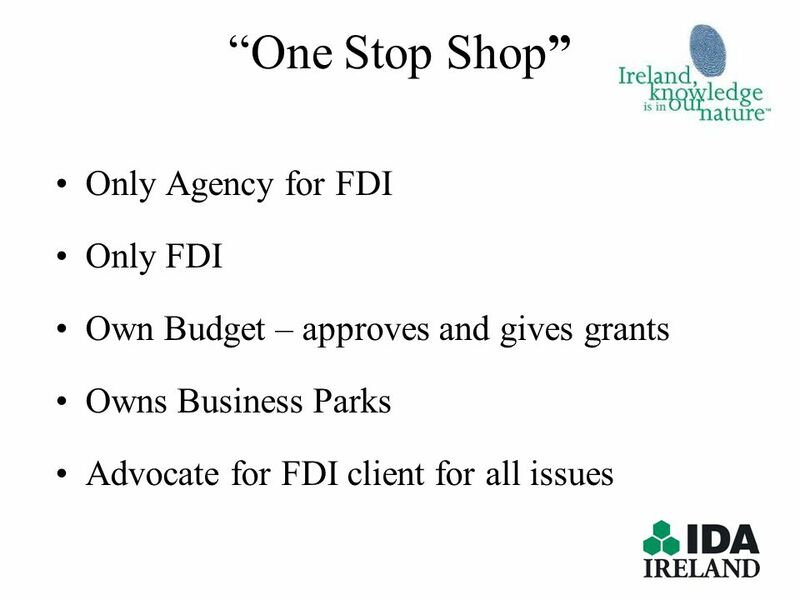 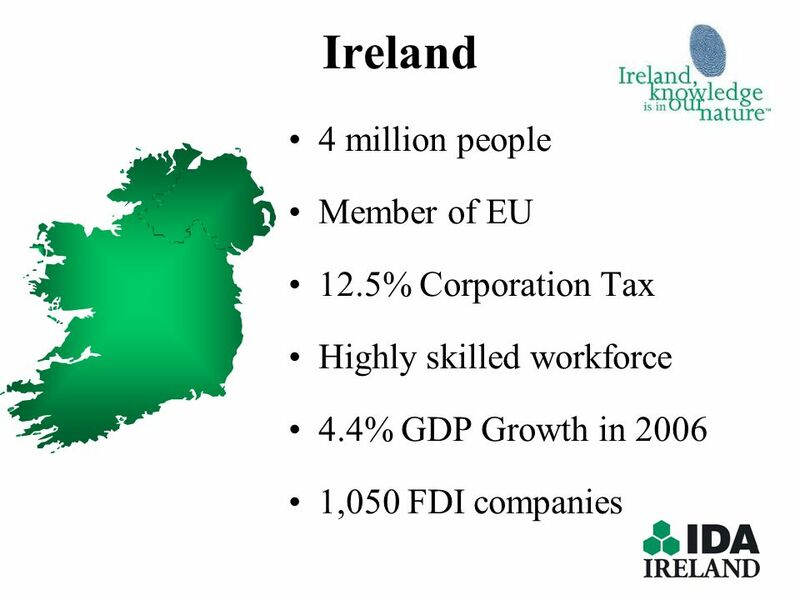 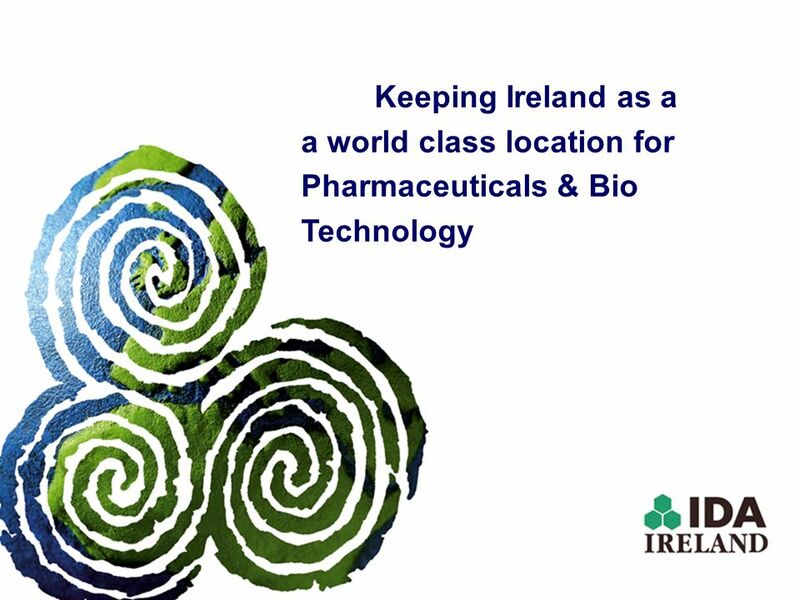 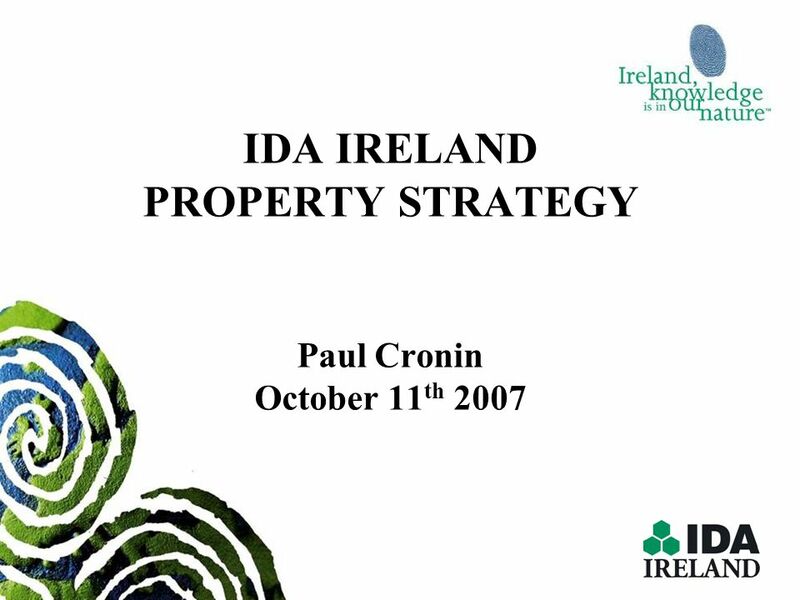 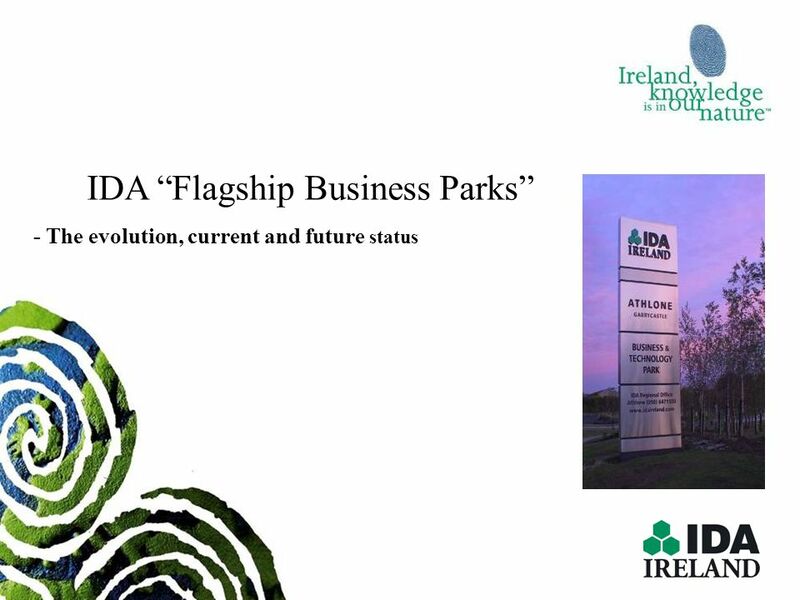 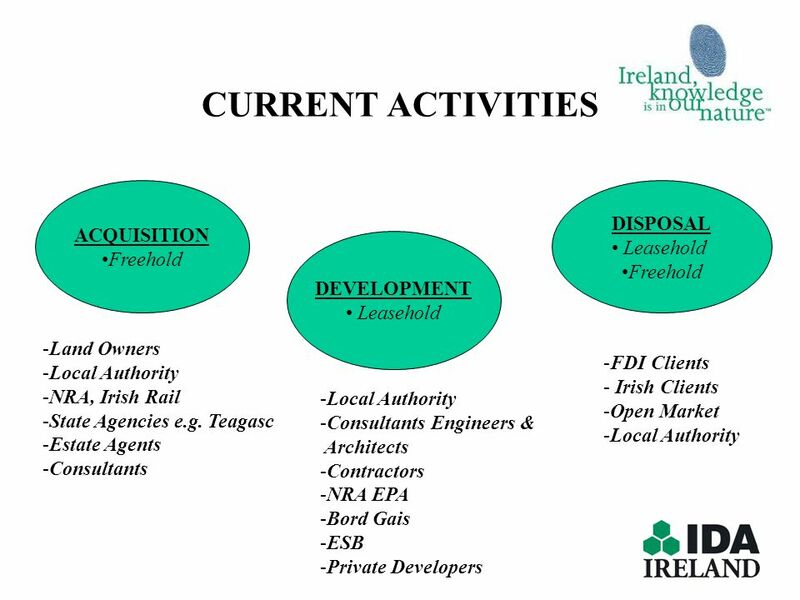 Download ppt "IDA IRELAND PROPERTY STRATEGY Paul Cronin October 11th 2007"
Financing New and Expanding Companies BES & Seed Capital Scheme and the Role of Enterprise Ireland 12th November 2007 Cork Gerard OBrien High Potential. 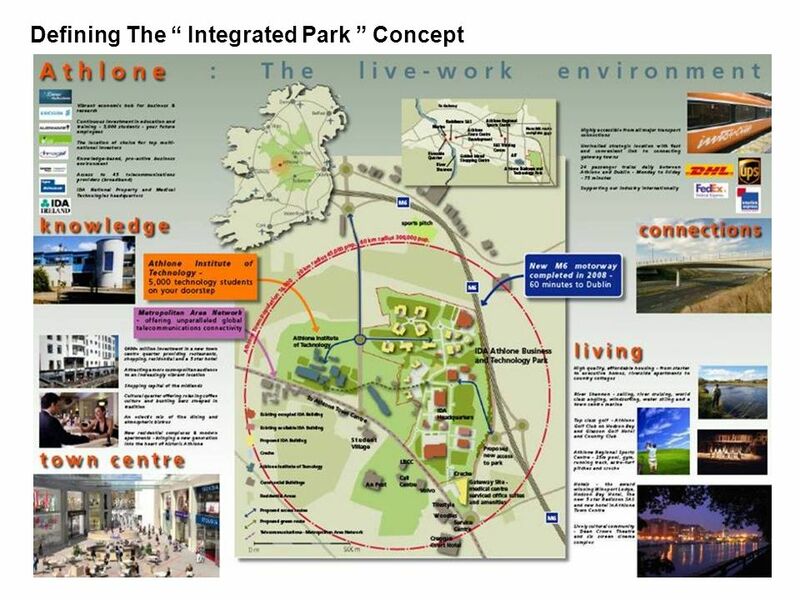 Clonmel Developing Our Town 10 th October Myles Mc Hugh Service Planning Manager Intercity & Commuter Network. 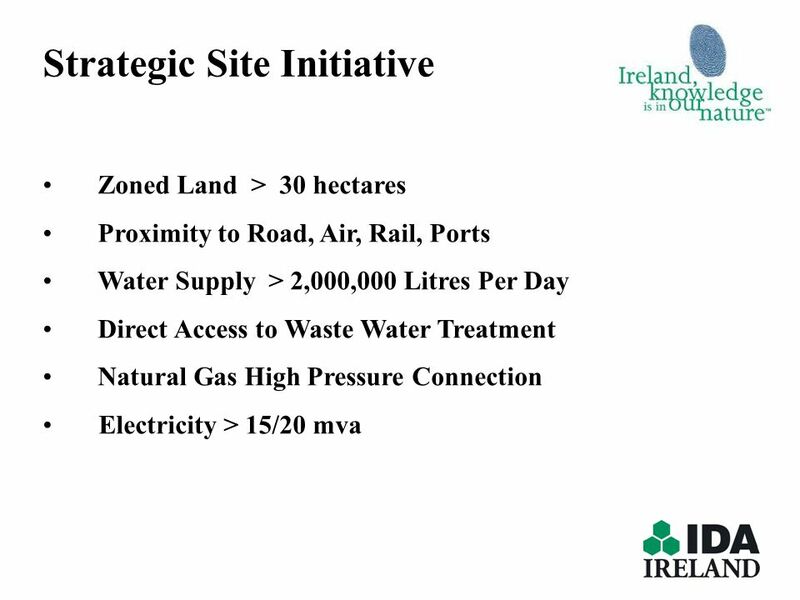 EVs the Energy Infrastructure and the needed User Infrastructure David Farr Project Manager. 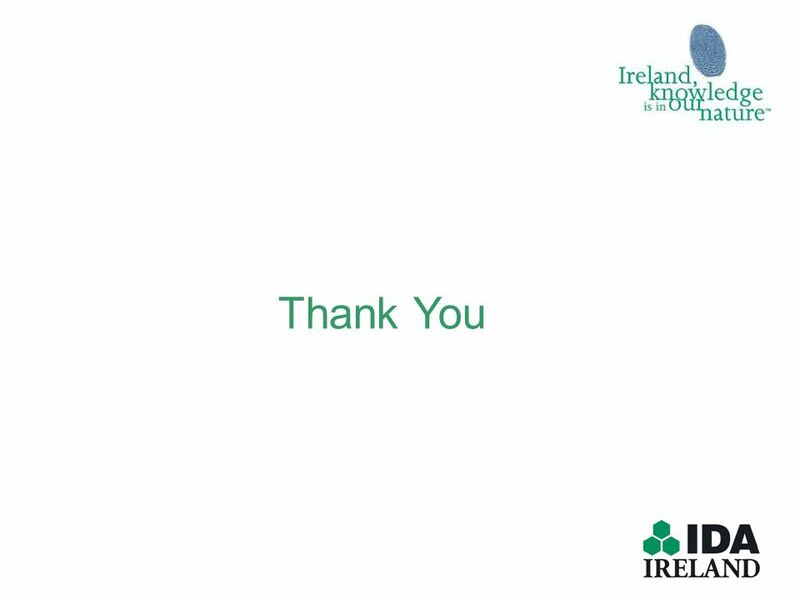 permanent tsb House Price Index 10 Year Review 2 House Price Index 10 Year Review National annual price growth averaged 14.9% over the last 10 years. 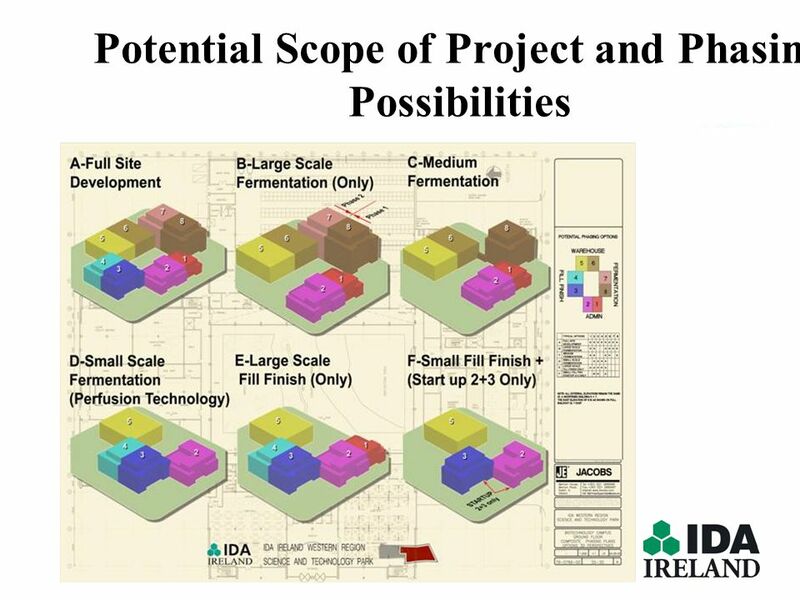 CASE STUDIES Client:Developer of former Manufactured Gas Utility Plant Property Problem:Developer bought contaminated former plant site to develop for.